Outdoor living with a unique custom bbq and bar located in NY. 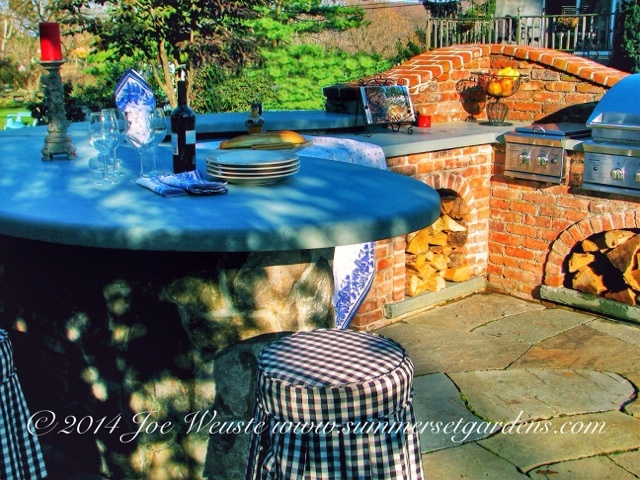 I used reclaimed brick for the structure and stone for the bar top and countertop. Landscape architecture, design and construction services in the NY and NJ areas.